Following crypto market trends is really important when it comes to trading, but sometimes you don’t have enough time to gather the information from different sources. To save your time we at TradeSanta decided to give you a brief weekly digest. 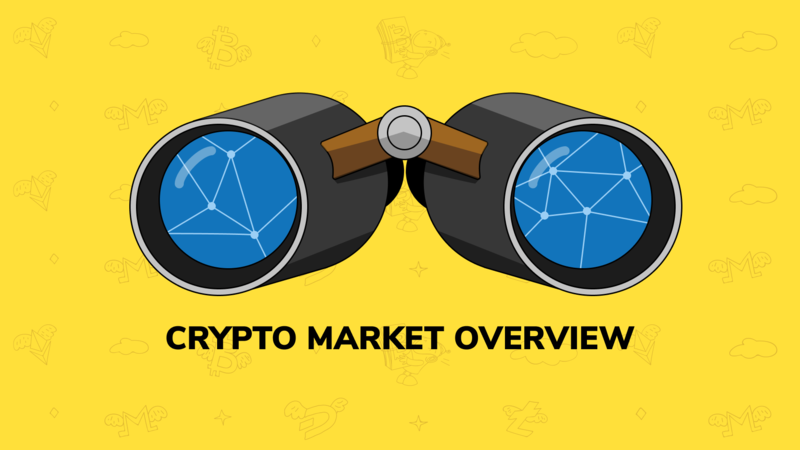 Here you can find out about key market changes, top 3 coins stats, last week’s top gainers and losers and most notable news. Last week was marked by a continuous fall of major coins, one rapid token sale and couple of interesting reports. Hope you find it helpful and happy trading! Chainalysis reported that 2 hacker groups have stolen around $1 billion in total. According to the report, these groups responsible for more than 60% of crypto exchange hacks. One of the groups is characterized as “giant, tightly controlled organization partly driven by nonmonetary goals”, while the other one is “less organized and smaller organization absolutely focused on the money”. 60 Billion BitTorrent tokens, worth more than $7 million, were sold in under 15 minutes during the token sale on Binance. The token sale ran in two simultaneous sessions, one for buyers using Binance coin (BNB) and the second for buyers using Tron (TRX). Cryptocurrency exchange Binance has partnered with Simplex in order to implement purchases with Visa and MasterCard credit cards. Simplex is a payment processor founded in 2014 in Israel, which raised $7 million during a funding round in 2016. At launch Binance users will be able to buy via credit cards Bitcoin (BTC), Ethereum (ETH), Litecoin (LTC) and Ripple (XRP).